Music producer and composer Andris Indāns has been active as a musician since the late ’80s; his Gas of Latvia project is one of the most significant electronic music endeavors from the project’s namesake country. Gas of Latvia have recorded and released over 10 studio albums, each of them with a different vibe and sound. Experimenting with dub ambient, drone, noise, IDM, industrial music and techno, they still keeping their signature sound. 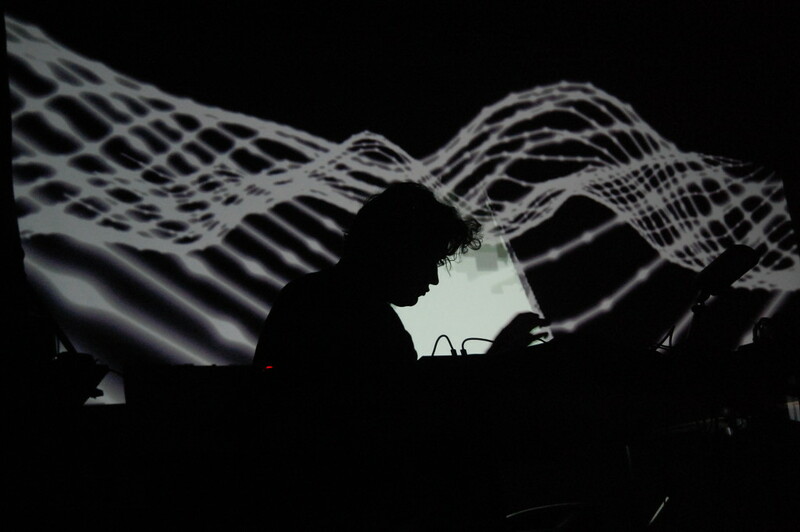 Andris Indãns also writes music for films, video art & theatre performances. You have been around for a while, since the 1980s, can you talk about your musical background? I started to work with sounds in the late eighties, when Soviet Union was on the decline. I had no musical education or even proper musical instruments, just a great desire to realise my ideas. I was inspired by the local underground new wave groups N.S.R.D. and Dzeltenie pastnieki as well by punk-rock and indie-rock in general. Obviously, the music scene in that period (1980s) was completely different in terms of infrastructure, sound, ideology, etc, especially in Eastern Europe. How do you recollect that period, and how has it changed? Positively, or negatively in your opinion? During the 80’s, music had a really special value in my life, simply because it was not available. Pretty soon, I discovered that rather than listening to the music which was played on the radio or TV, I enjoyed the alternative music world even though it was not east to get Joy Division or Einstürzende Neubauten records at that time. The same goes for electronic music equipment … I had to adapt my needs pretty much to anything that made sound and I had access to. Not to mention the fact that at the time those musicians who were not cooperating with state institutions had no chance to publish records or even perform. Records were distributed by overdubbing them from one to another. Nowadays I’m happy enough to live in a completely different world where everything is available to the extent that it no longer has a specific value. Your records seem to have a concept, a story. For instance, the album Swan Lake has a note: “Hello My Unknown Friend is an essay written by Andris Indāns at the 2nd grade of a Soviet school in 1982”. Yes, I have always been excited about conceptual albums, which similarly to a movie or a novel tell you a larger story through several episodes. Much of my work is highly personal and autobiographical, because it is the biggest (most important) truth to which I have access. It seems electronic music (dance music) is your main tool of expression. How do you create it? I enjoy a variety of musical forms, both ambient and experimental, rhythmic and dance music. I fell in love with dance music and started to produce it in the middle of the nineties thanks to the rave movement that emerged in Riga. For a long time I was making music on the computer, but in recent years, I have started to use hardware synthesizers, sequencers and samplers more. Can you talk about your collaboration with Katrīna Neiburga? I’ve been working with Katrina Neiburga for more than 10 years now. I’m fascinated by her as an artist and I’m glad to work together with her on ambitious works. This cooperation has opened new creative horizons for me and complemented Gas of Latvia music with great visuals. You have also done a lot of projects in theatre, video art, film. Can you talk about them? Each of them offers some experience. There is a reciprocal exchange between what I am doing in my project Gas of Latvia and the collaborations with other artists, movie directors, etc. In this way I can also fully live the life of a musician and I do not need to do work just for money, which does not interest me. I just recorded an ambient and hypnotic album together with visual artist and lyricist Laura Prikule, with whom we are going to make an audiovisual exhibition soon. I’m also working on new dance music/IDM pieces and recently played more concerts than I usually do.